International Coffee Day: Do you know what’s in your favorite cup? ለኣቦል ቡና ወዳጆች ኦክቶበር 1, 2015 ባለም ኣቀፍ ደረጃ የቡና ቀን እንደሆነ ታውቃላችሁ?? በዚህ ቀንስ የቡና ፍሬ የተገኘባት የመጀመሪያዋ ኣገር ኢትዮጵያ እንደሆነች ባለም ኣቀፍ ደረጃ መጠቀሷንስ ያውቃሉ ? Thursday, 1 October is the first official International Coffee Day, as the world and YOUR AREA come together to celebrate our favourite - filtered or instant - hot brown drink. Confusingly, in many countries, 29 September has been celebrated as an unofficial day or a ‘National Coffee Day’. But now the International Coffee Organization has decided to make an official date, commenting, on the subject of multiple celebrations: “That’s ok - every day is a good day for coffee, after all. Coffee beans are actually the pit of a berry, making them a fruit. Coffee is thought to have originated in Ethiopia, and was first cultivated by Arabs during the 14th century. There are two types of coffee beans: Arabica and Robusta, seventy percent are Arabica, while Robusta is slightly bitterer and has twice as much caffeine. appuccino - A cappuccino is equal parts espresso, steamed milk and foamed milk (about 60 ml each). Espresso - A small but strong shot of caffeine, usually about 30ml. 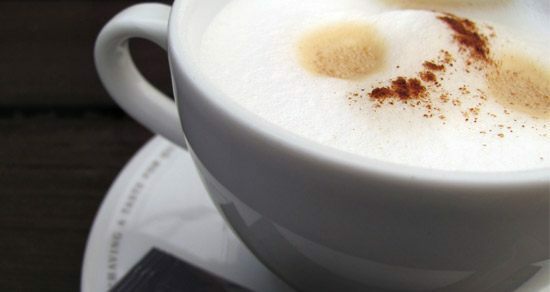 Cappuccino - A cappuccino is equal parts espresso, steamed milk and foamed milk (about 60 ml each). Ristretto - A ristretto is a very concentrated espresso shot, only 22ml. Americano - If you like the taste of espresso, but are left wanting more, an Americano is a 30ml shot of espresso but with twice the amount of water (60ml). Doppio - Doppio, meaning ‘double’ in Italian, gives you a 60ml shot rather than the regular 30ml.